Here we will be focusing our attention to the Luraco massage chair review, the Luraco iRobotics 7 Medical Massage Chair. It is a high-end model that comes with all the essentials you are going to need and something even more. This chair has been designed and made to be the best model on the planet. It is massive, it looks extraordinary and is made to meet all possible expectations you have on your mind. Who Is This Luraco i7 Massage Chair Most Suitable For? One of the most appealing massage chairs ever seen on the market is the Luraco iRobotics 7 Medical Massage Chair. It looks special, comes with special features and it is simply superb in any way you can possibly imagine. This flagship of the company already placed a smile on millions of people and now we will discover why it is so special. We will begin with a feature that is far from the most important, but it is something that can help you understand how much this chair is actually special. The manufacturer used synthetic leather for all elements of the chair, but in places where your body will touch the chair, they used real black leather. The overall effect is simple. 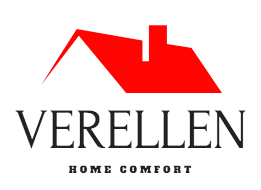 You will feel the quality and you will enjoy the ultimate comfort. This should also help you understand that the manufacturer in question doesn’t make simple and cheap massage chairs. The one we have here looks modern, sophisticated and the attention to details is immense. You should know that all massage chairs have airbags. The number of them can determine how effective and how comfortable a chair actually is. In this case scenario, we are looking at 100 airbags. Overall, this means that the chair can provide you with the comfort which cannot be described with words. In addition, each airbag is developed to perfection and it is positioned precisely on the spot it has to be. When you take a look at massage chairs, you will see that they either have 4 or 2 roller systems. Perhaps 2 roller system sounds obsolete for you, but it is actually a preferable version. This system allows for the rollers to penetrate deeper into the skin and muscles of the human and to be more methodological. In other terms, this system was chosen due to the fact it will help you get the best massage possible. 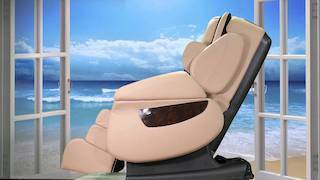 In reality, the massage this chair has to offer is almost identical to the living person massaging you at any given moment. But, this chair will never get tired and it will massage you as long as you want. We should add that the chair here has 5 different intensity programs for the rollers. There are 5 programs for heating element (located in the seat, back, and the feet area) and there are 9 programs in total. 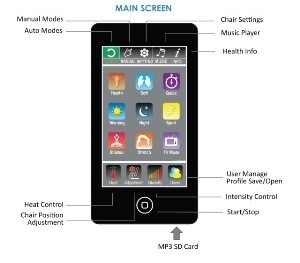 You will be able to control and to select the desired program using your smartphone. The app is free and comes included with the chair. When it comes to scanning it is the longest you can possibly get among massage chairs. It takes 2 minutes and it may be annoying, but there is a simple reason for that. The chair will scan the entire body and determine where and how to massage you to perfection. This is an advanced feature which has been available only in high-end massage chairs. The next time you use the chair, all you have to do is to select the corresponding user from the menu and the chair will start massaging you immediately. It won’t scan your body ever again. There are 5 different slots, so 5 individuals can use the same chair and it will save each person’s data in the memory. The voice response will guide you through the programs, it will help you understand them better and it will literally explain each and every option the chair has. Luraco technologies iRobotics 7 medical massage chair is unique when it comes to this feature and it is something that makes it more sophisticated than ever before. Of course, if you don’t like the feature in question, you can disable it in the settings. The chair comes with speakers which are decent and which will help you relax even more if that is possible. The memory card is located in the remote controller, and you will have to transfer music files on it if you are looking for a way to listen for the music. 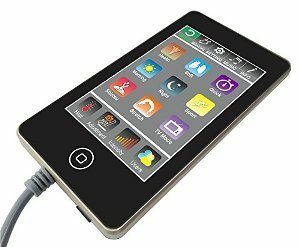 There are no limitations here, so you are free to listen to as many songs as you like and you can even replace the memory card with the one with a higher capacity. The memory card in question is micro SD. During the Luraco i7 massage chair assembly process, you will notice a device located the slot for a remote controller. This is a blood pressure measurement device and it comes with the chair. After all, this is a medical chair designed and made for those who want to stay in the best health all the time. The device is made by Omron and it is 100% accurate and well-made. Keep in mind that the assembly process is easier than you would expect. The user manual is detailed and it comes with all essentials you are going to need. In average, people will need around 20 minutes to assemble the chair. An interesting feature is the full body view, which is available when you click info. Then you will see a full body map with the bones and muscles and you can monitor the effect of massage on the body. The answer is simple. This chair comes with all and the best features ever seen in the world of massage chairs. It is designed and made for users who want the best quality and the best chair for massaging and they are ready to pay for it. Yes, it is far from cheap massage chair, but it comes with all the essentials you are going to need and with the best overall quality ever seen. Our Luraco massage chair review should help you understand why we choose this model and why it is so desirable. But before we move on to the main features of the chair in question, there is something you will have to know regarding the massage chairs. They are not just great to use, but they also offer actual health benefits and have a positive effect on the body and the mind. Find out other massage chair choices here. Luraco dealers already know all of this, so they will be helpful in more ways than you can imagine. At the moment, we will share information and details obtained from the American Pain Society and American College of Physicians. Most massage chairs will be helpful due to the simple fact they reduce the pressure on the nerves that run along the spine. They will be under a severe amount of pressure all the time, so they will slow down the impulses from the brain to the extremities. This includes hands, legs and etc. When using a massaging chair, like Luraco irobotics 7 the pressure on the nerves is significantly decreased, so the nerves will allow for a much faster impulse transition. What this means is that you will move easier than ever and you will have a faster response. The posture of us many is compromised due to the fact muscles will be under a huge amount of pressure all the time, which will cause them to develop a bad posture for you! When using a massage chair, you will be relaxed, obviously and your muscles will be relaxed as well. What this means is that you will become agiler and you will move easier than ever. 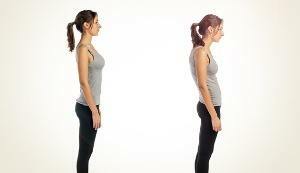 In other words, your body will naturally be able to develop a correct posture. The first massage chairs were popular because they reduced the stress a person had to withstand. New models, like the one we have here, are known to completely eliminate stress from your life. This has countless benefits for your body and mind. First of all, your brain will be more relaxed than ever before. This has additional benefits to your heart, blood pressure, and circulation. 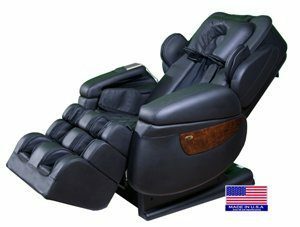 The model we choose for this particular purpose is an FDA massage chair meaning that it has been approved by the FDA association, specifically due to this and other reasons we will mention below. Yes, a massage chair for home will be able to help you with a much better circulation. This is possible thanks to the fact massaging will make the blood vessels more relaxed, literally making them bigger, which boosts the blood flow. If we know that the blood carries all important nutrients to the brain and obviously oxygen, we can deduce that your circulation has a huge effect on the mood and health. Better circulation equals a much better quality of life. It is known that massaging will release endorphins, chemicals which literally makes you feel better. If we know that massage chairs simulate hand massage almost to perfection, we can deduce that the end result will be the same. In other words, more endorphins will be released, so you will feel better than ever before. Besides this fact, you will be more relaxed and have more energy. These are only the main and the most important benefits of massage chairs. In reality, there are so many advantages that will make your life almost completely different, so much better as a matter of fact. Luraco showroom is always filled with people looking for a new massage chair, and now you can understand why. Our Luraco massage chair review should help you understand why this is the best massage chair of all times. It is one of a kind model available on the market. There are no entry-level features and systems here. All is focused on perfect health and its improvement. 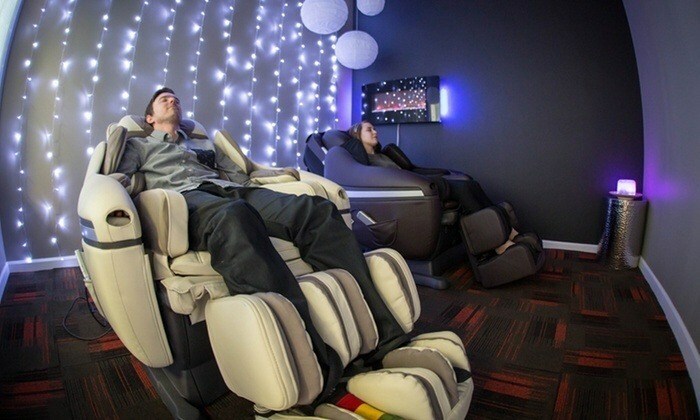 The bottom line is, if you are looking for the ultimate massage chair, this one is right for you. We rate this chair a perfect 5 stars.